This week is Pittsburgh’s LGBTQIA+ Liberation Sunday! 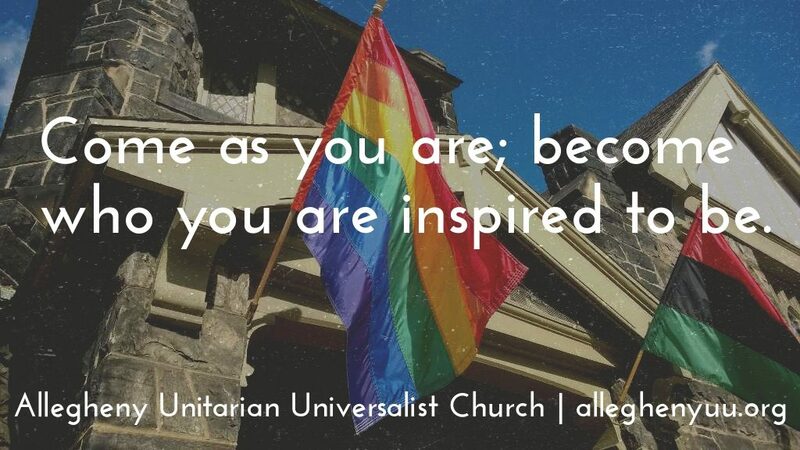 Our Sunday June 10 worship at Allegheny UU will begin early, at 10AM. So however you choose to honor and celebrate the day, this will allow you to get to the subway or walk to the downtown events of your choosing.